Mar 26, 2015 - strongly correlated within groups and in 5 major clustering patterns. ..... Glutathione S-transferase, alpha 4. â8 .... Collagen, type IV, alpha 5. Aug 12, 2014 - Citation: Prince LR, Maxwell NC, Gill SK, Dockrell DH, Sabroe I, et al. (2014) ...... Davies PL, Spiller OB, Beeton ML, Maxwell NC, Remold-O'Donnell E, et al. .... Dessardo NS, Mustac E, Dessardo S, Banac S, Peter B, et al. Biomicroscopic examination of the anterior segment revealed pseudophakia with small .... ultrasound biomicroscopy in secondary pigmentary glaucoma associ-. Jul 11, 2017 - psychiatric hospitalization for obsessiveâcompulsive disorder and major ... from recurrent obsessions regarding contamination, hoarding. hypertrophic obstructive*. Raimundo José Almeida de Oliveira Pinto1. Adaílton Araújo dos Santos1. Mablo de Castro Azevedo1. Saulo Sacramento Meira1. Jan 29, 2016 - generate energy in the form of ATP,2 metabolic pathways in. TLR-activated ..... reported for the Mi-2/NuRD transcriptional repressor complex.41. Abstract Objective: To describe the characteristics of macrophage activation syndrome associated with juvenile idiopathic arthritis. Description: This is a retrospective study involving 462 patients with juvenile idiopathic arthritis. Seven (1.5%) of those patients suffered from systemic onset juvenile idiopathic arthritis and developed macrophage activation syndrome. The median age of the juvenile idiopathic arthritis onset was 3 years and 10 months and the median duration of juvenile idiopathic arthritis before macrophage activation syndrome was 8 years and 4 months. All of them presented with fever, jaundice, hepatosplenomegaly, bleeding, pancytopenia, abnormal liver function tests and abnormal coagulation profile. Three cases presented associated infections and one patient developed macrophage activation syndrome two weeks after the administration of sulfasalazine. Three patients died and the macrophage hemophagocytosis was present in five. The treatment of macrophage activation syndrome included pulse therapy with methylprednisolone in all of them, cyclosporine A in three, plasma exchange in two and intravenous immunoglobulin in two. Comments: Macrophage activation syndrome is a complication of the systemic onset juvenile idiopathic arthritis with a high morbidity and mortality rate. J Pediatr (Rio J). 2004;80(6):517-22: Juvenile idiopathic arthritis, juvenile rheumatoid arthritis, macrophage activation syndrome, liver. Introduction 1. Ph.D. Head of the Pediatric Rheumatology Unit, Department of Pediatrics, School of Medicine, Universidade de São Paulo (USP), São Paulo, SP, Brazil. 2. Ph.D. Adjunct professor, Department of Pediatrics, School of Medicine, Universidade Federal de Uberlândia (UFU), Uberlândia, MG, Brazil. 3. Physician responsible for the Pediatric Rheumatology Unit, Hospital São Rafael, Salvador, BA, Brazil. 4. M.Sc., School of Medicine, Universidade de São Paulo (FMUSP). Assistant physician, Centro de Saúde Pinheiros, São Paulo, SP, Brazil. 5. Ph.D. Head of the Department of Apheresis, Fundação Pró-sangue, Hemocentro de São Paulo, São Paulo, SP, Brazil. 6. Ph.D. Head of the Immunology and Allergy Unit, Department of Pediatrics, School of Medicine, FMUSP, São Paulo, SP, Brazil. 7. Associate professor, School of Medicine, FMUSP, São Paulo, SP, Brazil. Manuscript received Mar 03 2004, accepted for publication May 24 2004. Suggested citation: Silva CA, Silva CH, Robazzi TC, Lotito AP, Mendroni Junior AM, Jacob CM, et al. 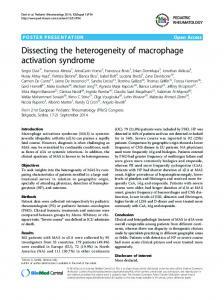 Macrophage activation syndrome associated with systemic juvenile idiopathic arthritis. J Pediatr (Rio J). 2004;80:517-22. 518 Jornal de Pediatria - Vol. 80, No.6, 2004 generalized adenomegaly, pericarditis, pleuritis, hepatomegaly and/or splenomegaly.1 The macrophage activation syndrome (MAS) is an entity with both familiar and acquired forms. The acquired forms can be triggered by infections, neoplasms, immunodeficiencies and rheumatic diseases.2-5 Macrophage activation syndrome associated with JIA is extremely rare. There are no reported prevalence rates and around 88 cases had been described by 2001.4 Macrophage activation syndrome associated with JIA was first described by Hadchouel et al. in 1985.6 This syndrome occurs primarily with the systemic form of JIA, and the average period of JIA prior to MAS onset is from 4.2 to 4.8 years.6,7 Other names have been used in published literature for this syndrome when associated with JIA, such as: reactive hemophagocytic syndrome,5,8 hemophagocytic lymphohistiocytosis 2 or disseminated intravascular coagulation (DIVC) with liver failure.9 Patients with MAS present prolonged high fever, hepatomegaly and splenomegaly, bleeding, generalized adenomegaly, rash, jaundice, can develop acute liver failure, coma, DIVC and multiple organ failure. 2-5 Anemia, leukopenia, thrombocytopenia, hypofibrinogenemia and slowed coagulation habitually occur in all patients.10,11 The presence of numerous macrophages in the bone marrow phagocytosing blood cells (hemophagocytosis), with no evidence of malignancy is characteristic of MAS. 3,12 Macrophage activation syndrome can be triggered by viral infectious agents such as: varicella-zoster,13 hepatitis A,14 Epstein-Barr8 and coxsackie B,15 in addition to therapy with gold, acetylsalicylic acid and other nonsteroidal antiinflammatory drugs,6,12 methrotrexate,10 sulfasalazine and penicillamine.7 The etiopathogenesis of MAS is unknown. The macrophage activation liberates proteases which activate plasminogen, leading to the formation of plasmin with fibrin degradation, triggering fibrinolysis and DIVC.3 Cytokine overproduction, particularly of interleukin 1, tumor necrosis factor and gamma-interferon, observed in children with familial hemophagocytic lymphohistiocytosis, can be responsible for abnormalities affecting the liver brain and blood in such children.16 Macrophage activation syndrome involves overproduction of cytokines originating from activated T lymphocytes and macrophages (IFN-γ, GM-CSF, IL-6, IL-1 and TNFα), significant reductions in NK cells17 and perforin (the protein that controls the cytotoxic activity of NK cells and T lymphocytes).18 The objective of the present study was to describe the clinical characteristics, laboratory findings and therapies employed in children and adolescents with MAS associated with JIA. patients residence, confirmed by anti-VHA IgM serology. Case 6 developed MAS two weeks after chickenpox. particularly affecting erythrocytes (hemophagocytosis); case 7 exhibited bone marrow hypoplasia with no macrophage proliferation. Prior to MAS, systemic JIA treatment had included nonsteroidal anti-inflammatory drugs (in particular acetylsalicylic acid and indomethacin), corticosteroids and disease-modifying antirheumatic drugs in all cases. The drugs that were being given at the time that MAS signs and symptoms appeared are listed in Table 2. They had been being used for between 2 months and 4 years prior to MAS onset. It should be emphasized that only in case 5 did MAS clearly develop two weeks after the introduction of sulfasalazine. M = male; F = female; C= Caucasian; B = black; y = years; m = months; d = days. AST = aspartate transaminase; ALT = alanine aminotransferase; Hb = hemoglobin; PT = prothrombin time; APTT = activated partial thromboplastin time; TT = thrombin time; FDP = fibrin degeneration products; NR = non registered; + = present; - = absent; A = acetylsalicylic acid; C = chloroquine; I = indomethacin; P = prednisone; G = gold salts; N = naproxen; Mt = methotrexate; S = sulfasalazine; Ib = ibuprofen; Cp = cyclosporine; M = pulse therapy with methylprednisolone; Pl = plasmapheresis; IG = intravenous gammaglobulin. 520 Jornal de Pediatria - Vol. 80, No.6, 2004 The treatment for MAS initially included daily pulse therapy with methylprednisolone (30 mg/kg/day) in all cases, ranging from three to five pulse therapies per patient. Five patients required one or more treatments to control the disease (Table 2): two patients were given plasmapheresis (three sessions with 1.5 plasma volume exchange and intervals of 24 to 48 hours); two received intravenous gammaglobulin (2 g/kg/single dose) and three received intravenous cyclosporine (2 mg/kg/day every 12 hours). Early diagnosis and introduction of pulse therapy with methylprednisolone and cyclosporine were associated with improved progress (disappearance of symptoms and normalization of leukocytes, platelets and coagulation times, in an average of 1 week). All patients exhibited somnolence and sleep inversion. Three patients required admission to the intensive care unit due to coma, requiring mechanical ventilation and went on to die from multiple organ failure. The autopsies of these three patients showed, in case 1, bleeding diathesis, splenitis, periportal fibrosis and hepatic steatosis; in case 2 bleeding diathesis, chronic pericarditis, splenitis, acute renal insufficiency and liver necrosis; there was no evidence of hemophagocytosis in the first two cases; in case 3 findings were, bleeding diathesis, massive liver necrosis (compatible with fulminating hepatitis) and macrophage proliferation in the lungs, with hemophagocytosis. corticosteroids.3,7,24,25 Other therapeutic modalities that can be employed are: intravenous gammaglobulin, cyclophosphamide, plasmapheresis 12 and etanercepte. 11 Three of these cases had fatal outcomes. All deaths were the result of liver failure and bleeding diathesis. These three patients all exhibited a prolonged time between onset of symptoms and seeking our Service, delaying MAS diagnosis. Fatal outcomes are the result of 2 to 4% of children with JIA, particularly associated with the systemic form of the disease.21 Death rates vary from 1% in the United States to 4.2% in Europe, primarily due to amyloidosis.29 Bernstein 30 describes deaths due to liver failure in 20% of patients. Boone 31 describes death rates of 17% of a total of 1,674 patients with JIA from liver failure, generally from unknown causes, being occasionally due to viral hepatitis and the use of gold salts, believing that these deaths were in fact due to MAS. Deaths from MAS associated with systemic JIA, in studies with more than five cases, occurred in 11 to 30% of cases. 5-7 We conclude that MAS is a complication of the systemic form of JIA with elevated morbidity and mortality. The presence of acute liver failure and pancytopenia in patients with JIA should alert health professionals to a diagnosis of MAS. Early recognition, differentiation from systemic activity of the systemic JIA itself and the rapid introduction of aggressive treatment contribute to better prognosis. Stéphan JL, Koné-Paut I, Galambrun C, Mouy R, Bader-Meunier B, Prieur AM. Reactive haemophagocytic syndrome in children with inflammatory disorders. A retrospective study of 24 patients. Rheumatol. 2001;40:1285-92. Hadchouel M, Prieur AM, Griscelli C. Acute hemorrhagic, hepatic, and neurologic manifestations in juvenile rheumatoid arthritis: possible relationship to drugs or infection. J Pediat. 1985;106:561-6. Sawhney S, Woo P, Murray KJ. 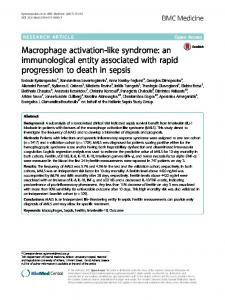 Macrophage activation syndrome: a potentially fatal complication of rheumatic disorders. Arch Dis Child. 2001;85:421-6. Fishman D, Rooney M, Woo P. Successful management of reactive haemophagocytic syndrome in systemic-onset juvenile chronic arthritis. Br J Rheumatol. 1995;34:888-93. Schwartz D, Averbuch M, Pines A, Kornovsky R, Levo Y. Disseminated intravascular coagulation with renal and liver damage as the predominant manifestations of recurrent relapses in systemic juvenile rheumatoid arthritis. Ann Rheum Dis. 1992;51:347-9. 10. Ravelli A, Caria MC, Buratti S, Mulattia C, Temporini F, Martini A. Methotrexate as a possible trigger of macrophage activation syndrome in systemic juvenile idiopathic arthritis. J Rheumatol. 2001;28:865-7. 11. Prahalad S, Bove KE, Dickens D, Lovell DJ, Grom AA. 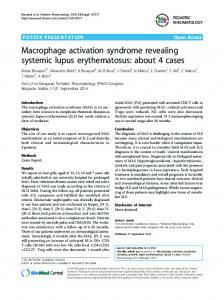 Etanercept in the treatment of macrophage activation syndrome. J Rheumatol. 2001;28:2120-4. 12. Bray V, Singleton JS. Disseminated intravascular coagulation in stills disease. Semin Arthritis Rheum. 1994;24:222-9. 13. Morris JA, Adamson AR, Holt PJL, Davson J. Stills disease and the virus associated haemophagocytic syndrome. Ann Rheum Dis. 1985;44:349-53. 14. Mcpeake JR, Hirst WJR, Brind AM, Williams R. Hepatitis A causing a second episode of virus associated haemophagocytic lymphohistiocytosis in a patient with Stills disease. J Med Virol. 1993;39:173-5. 15. Heaton DC, Moller PW. Stills disease associated with Coxsackie infection and haemophagocytic syndrome. Ann Reum Dis. 1985;44:341-4. 16. 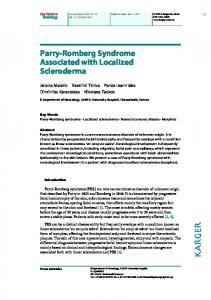 Henter JI, Elinger G, Söder O, Hansson M, Andersson B, Andersson U. Hypercytokinemia in familial hemophagocytic lymphohistiocytosis. Blood. 1991;78:2918-22. Acknowledgements We would like to thank Dr. Fabíola del Carlo Bernardi for evaluating the autopsies of the patients in this study and Professor Dr. Gilda Porta, Dr. Bernadete de Lourdes Liphaus, Dr. Jorge David Aivazoglou Carneiro, Dr. Lúcia Maria M. A. Campos and Dr Nélson Hidekazu Tatfui, for their help in the diagnosis, treatment and follow-up of these patients. 17. Grom AA, Villanueva J, Lee S, Goldmuntz EA, Passo MH, Filipovich A. Natural killer cell dysfunction in patients with systemic-onset juvenile rheumatoid arthritis and macrophage activation syndrome. J Pediatr. 2003;142:292-6. 18. Wulffraat NM, Rijkers GT, Elst E, Brooimans R, Kuis W. Reduced perforin expression in systemic juvenile idiopathic arthritis is restored by autologous stem-cell transplantation. Rheumatology. 2003;42:375-9 19. Hanson V, Kornreich H, Bernstein B, King KK, Singsen BH. Prognosis of juvenile rheumatoid arthritis. Arthritis Rheum (Supplement). 1977;20:279-84. 20. Cassidy JT, Petty RE. Juvenile rheumatoid arthritis. In: Cassidy JT, Petty RE, editors. Textbook of Pediatric Rheumatology. 4th ed. Philadelphia: WB Saunders Company; 2001. p. 218-321. 21. Silva CAA, Kiss MHB. Manifestações extra-articulares iniciais em 80 pacientes com artrite reumatóide juvenil (ARJ) forma sistêmica. Pediatria (São Paulo). 1998;20:83-92. 22. Loy TS, Diaz-Arias AA, Perry MC. Familial erythrophagocytic lymphohistiocytosis. Sem Oncol. 1991;18:34-9. 23. Dino O, Provenzano G, Giannuoli G, Sciarrino E, Pouyet M, Pagliaro L. Fulminant hepatic failure in adult onset Stills disease. J. Rhematol. 1996;23:784-5. 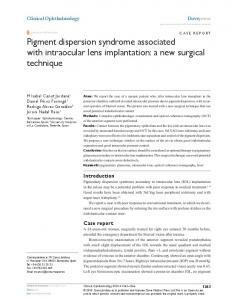 Petty RE, Southwood TR, Manners P, Baum J, Glass DN, Goldenberg J, et al. International League of Associations for Rheumatology classification of juvenile idiopathic arthritis: second revision, Edmonton; 2001. J Rheumatol. 2004;31:390-2. Henter JI, Elinder G, Öst A. Diagnostic guidelines for hemophagocytic lymphohistiocytosis. The FHL Study Group of the Histiocyte Society. Semin Oncol. 1991;18:29-33. Grom AA, Passo M. Macrophage activation syndrome in systemic juvenile rheumatoid arthritis. J Pediat. 1996;129:630-2. Ravelli A. Macrophage activation syndrome. Curr Opin Rheumatol. 2002;14:548-52. 24. Mouy R, Stephan JL, Pillet P, Haddad E, Hubert P, Prieur AM. Efficacy of cyclosporine A in the treatment of macrophage activation syndrome in juvenile arthritis: report of five cases. J Pediatr. 1996;129:750-4. 25. Ravelli A, Benedetti F, Viola S, Martini A. Macrophage activation syndrome in systemic juvenile rheumatoid arthritis successfully treated with cyclosporine. J Pediatr. 1996;128:275-8. 26. Stern A, Riley R, Buckley L. Worsening of macrophage activation syndrome in a patient with adult onset Stills disease after initiation of etanercept therapy. J Clin Rheumatol. 2001;7:252-6. 27. Sibilia J, Javier RM, Albert A, Cazenave JP, Kuntz JL. Pancytopenia secondary to hemophagocytic syndrome in rheumatoid arthritis treated with methotrexate and sulfasalazine. J Rheumatol. 1998;25:1218-20. 522 Jornal de Pediatria - Vol. 80, No.6, 2004 28. Sekigawa I, Suzuki J, Nawata M, Ikeda K, Koike M, Iida N, et al. Hemophagocytosis in autoimmune disease. Clin Exp Rheumatol. 2001;19:333-8. 29. Baum J, Gutowska G. Death in juvenile rheumatoid arthritis. Arthritis Rheum (Supplement). 1977;20:253-5. 30. Bernstein B. Death in juvenile rheumatoid arthritis. Arthritis Rheum (Supplement). 1977;20:256. 31. Boone JE. 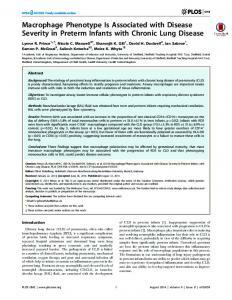 Hepatic disease and mortality in juvenile rheumatoid arthritis. Arthritis Rheum (Supplement). 1977;20:257-9. 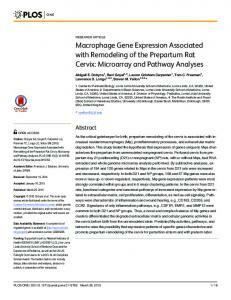 Report "Macrophage activation syndrome associated with ... - Semantic Scholar"